The following is part 3 an excerpt from Presbyterians: Their History and Beliefs, by Walter L. Lingle (1950, John Knox Press). Read part one here. And read part two here. Begins His Work in Geneva. 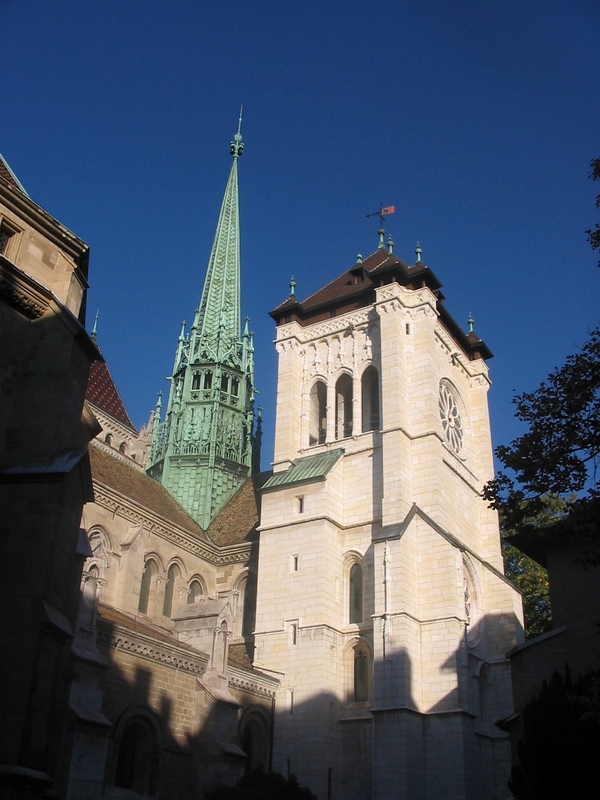 John Calvin began his work in Geneva on September 1, 1536, by preaching a sermon in St. Peter’s Cathedral. The sermon created a sensation, and the people crowded around him insisting that he must preach again the next day. What was it about the sermon of this twenty-seven-year-old preacher that created such a stir? It was simply an expository sermon on one of Paul’s Epistles. That does not sound very sensational to us, but it was something new to that audience. They had never heard any opening up of the Scriptures like that. This sermon was followed by many more just like it. 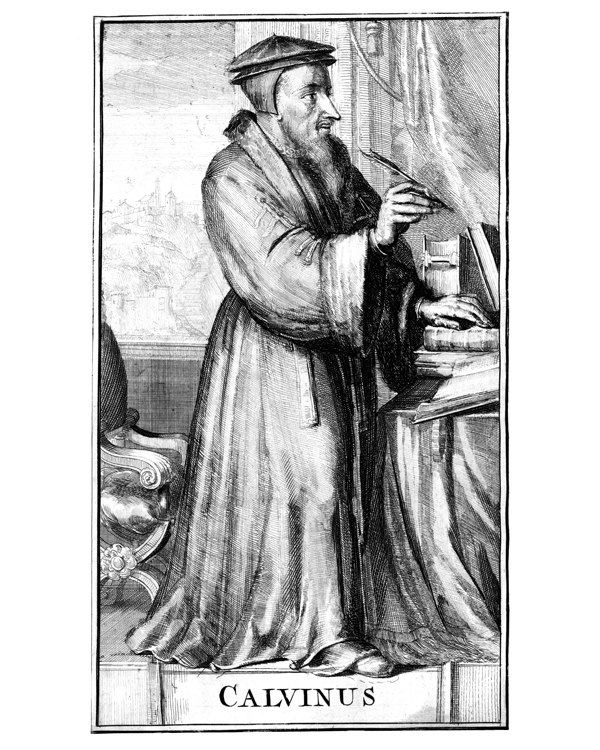 John Calvin became a great expository preacher and a great interpreter of the Scriptures. It is here that we find the main secret of his power. He went back to the Bible for everything relating to the Christian life and to the church. The Bible was the seat of authority in religion so far as John Calvin was concerned. To the Roman Catholic the church was the seat of authority. The results of the kind of preaching and teaching that John Calvin did were summed up by Thomas Carlyle in the following paragraph: “The period of the Reformation was a judgment day for Europe, when all the nations were presented with an open Bible and all the emancipation of heart and intellect which an open Bible involves.” No man did more to open up the Bible for the people of his generation and all generations than John Calvin did. But Calvin was more than a preacher; he was a reformer. He felt called upon to reform the religion and morals of all the people of Geneva. He and Farel accordingly prepared a Confession of Faith, a Catechism, and a Book of Discipline. After these had been approved by the City Council on July 29, 1537, all citizens of Geneva, men and women, were ordered to give their assent to these standards and to live by them. Many gladly gave their assent, but many others refused. A great furor was raised. This opposition grew until it resulted in the banishment of Calvin and Farel from Geneva by the City Council on April 22, 1538. Farel settled in Neuchatel and never returned to Geneva. Calvin went to Strassburg, a Protestant city of Germeny, with no thought of ever returning to Geneva. Strassburg received Calvin with open arms, and promptly made him assistant professor theology in their new Protestant College. There were many French-speaking, Protestant refugees in Strassburg. Calvin organized them into a church and became the pastor. In this church he was able to put his ideals for a churhc more fully into practice than he had been able to do in Geneva because of the interference of the City Council. Calvin followed a very simple order of service in his church. Emphasis was placed upon the reading of the Scriptues and prayer. There was congregational singing, which was not usual in the Roman Catholic Church. They sang from a French translation of the Psalms. There were no musical instruments in John Calvin’s church. The sermon occupied the central place. In the Roman Catholic Church the altar was central. In August, 1540, Calvin married Idelette de Bure, a widow with a small son and daughter. William Farel, in writing to a friend, said that she was “not only good and honorable but also handsome.” She and Calvin seem to have been very happy together. They had one son who died a few hours after birth. Thanks, bro. The new site looks as classy as the writing that will go therein.